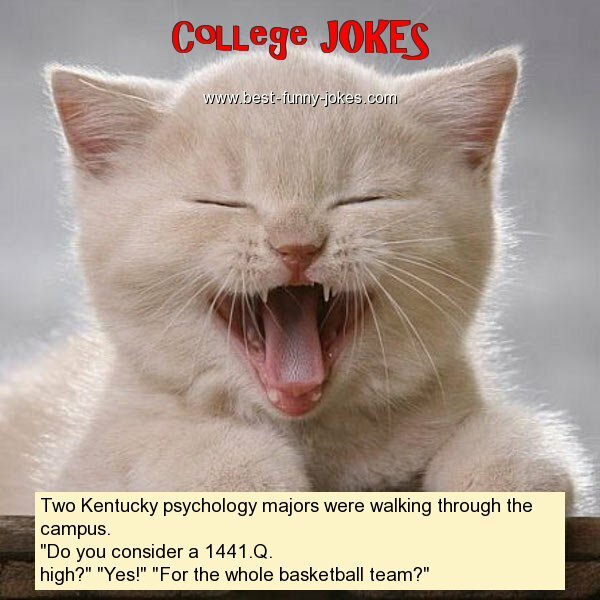 Two Kentucky psychology majors were walking through the campus. "Do you consider a 1441.Q. high?" "Yes!" "For the whole basketball team?"